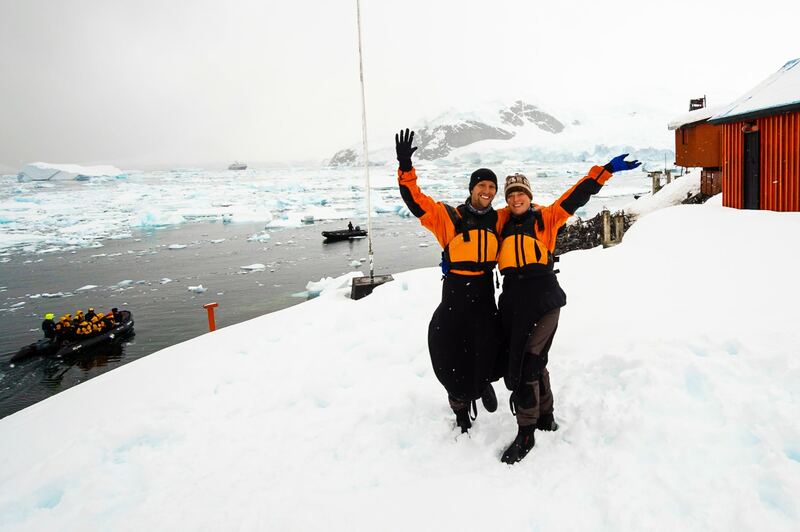 We made it to Antarctica! When you tell people that you’re going to Antarctica, often the first question out of their mouths will be “why?” (The second will be “how?” and don’t worry, we’ll answer that too). Even to the unenthused, the White Continent hardly needs an introduction. Most people understand it to be a frozen, icy, inhospitable place and for the most part, they are not wrong. Nevertheless, Antarctica draws over 20,000 visitors every year and those numbers are only going to increase. Existing operators are adding to their fleets and new ones are entering the market year over year. Many industry insiders insist that Antarctica will be most explosive tourism market of the 21st Century. 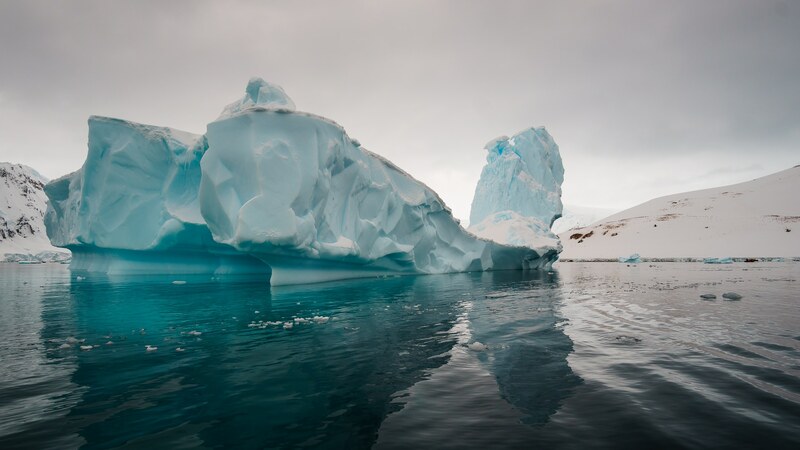 All of this means that prices overall for Antarctic tours are coming down, and what used to be a voyage reserved for the very rich, is now one that can be achieved by many middle class travellers, as well as budget-minded backpackers who plan ahead for this entirely worth it splurge. Shoestring budget travellers will probably find this wildly out of their price range, but it can never hurt to dream for the future. Antarctica is home to some of the most extreme landscapes in the world, with soaring granite peaks rising from the deep blue waters of the Antarctic sea, an impossible diversity of the shapes of icebergs, and vast, undulating glaciers that are the most expansive in the world. In addition to otherworldly landscapes, the White Continent is home to world-class charmers of the animal kingdom such as cute-as-a-button penguins, gregarious humpback whales, and blubbery round-faced seals. Visitors to Antarctica will be treated to views of one of the most unique environments on the planet and will earn bragging rights for being brave enough to travel to the land of snow and ice at the bottom of the Earth. In our research we found that many blog posts on the subject seemed woefully out of date due to the rapidly evolving landscape of Antarctic tourism so this is our best effort to provide some recent information. We travelled to Antarctica in November 2018 and while it torpedoed our RTW budget, it was well worth it. Read on! There are two ways to get to Antarctica, one is by flight and the other is by cruise. Flights leave from Australia , South Africa, and Punta Arenas, and can range from $1000usd to over $10,000. Many simply do a flyover of the continent and return the same day, others offer the chance to hop on a cruise and skip crossing the notoriously rough Drake Passage in a boat. 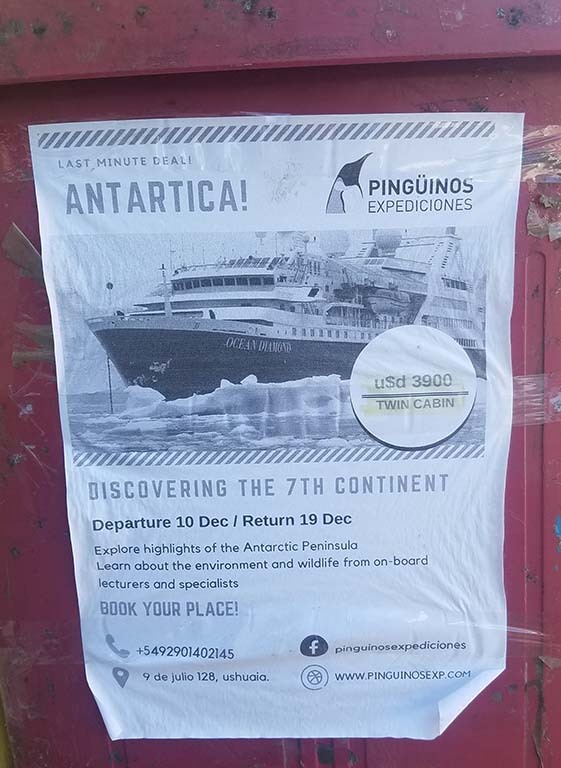 This trip allows you to fly from Punta Arenas and camp on the South Pole which sounds amazing but I suspect it is wildly out of our price range (I’m waiting for a quote and will update this post once I have one). As inhospitable as the environment is, it is also immensely fragile and great care is needed to protect it from potential bio-security threats introduced by tourists. Permits are required by both tourism operators and private visitors alike before anyone may step foot on the continent or it’s surrounding islands. Insurance is also required. Travelling without both of these can result in a hefty fine. Your tour operator will look after the permits, and for insurance, we used World Nomads. Since no one country governs Antarctica; rather, signatories of the Antarctic Treaty do, you may need to check with your own country for the requirements to get a permit for Antarctica or see the International Association of Antarctic Tour Operators’ (IAATO) page. 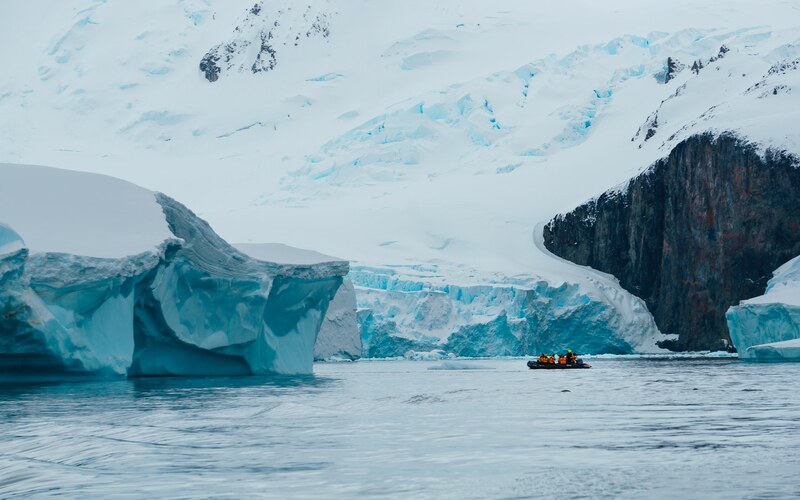 The second and by far the most popular way to reach Antarctica is by a cruise with the majority of ships leaving from Ushuaia, Argentina to make the trip across the famously rough seas of the Drake Passage. Fewer cruises also leave from Buenos Aries and Puerto Madryn, Argentina, as well as Punta Arenas, Chile, and Australia and New Zealand. Cruises leaving from South America are the most affordable options. A word of caution if your goal is to step onto the actual continent: some cruise operators like this one market their cruises to the sub-Antarctic islands such as South Georgia and the Falklands as “Antarctica Cruises”, so make sure that you check the itinerary closely ahead of time. Others sail to islands that make up the continent, such as the South Shetlands and Sandwich Islands, but again don’t stop at points along the continental mainland. If visiting the mainland is a goal of yours be sure to book with an operator that offers that route. There are however advantages to visiting the sub-Antarctic islands including seeing a greater variety of wildlife and slightly less extreme weather. 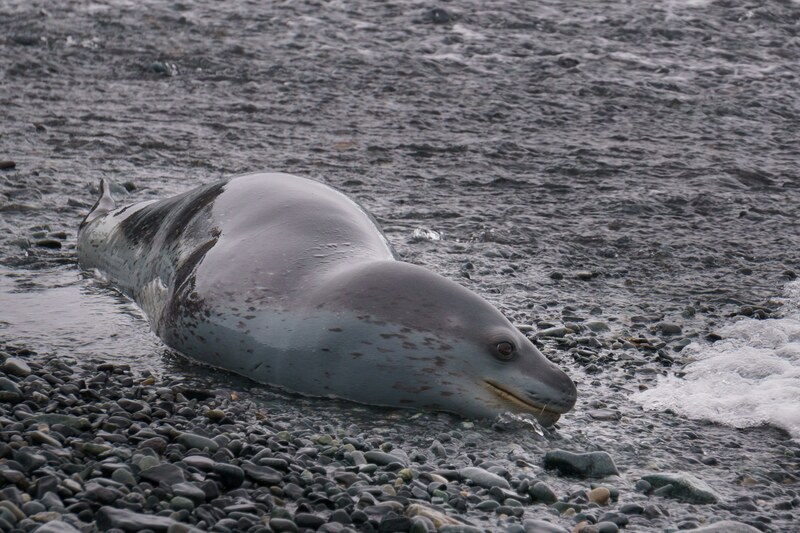 Among others, elephant seals, king penguins, and Antarctic fur seals are found on South Georgia Island which is known to offer the best wildlife viewing of animals most associated with Antarctica, despite not actually being in Antarctica. We saw one 17 day cruise like this advertised in Ushuaia at a last minute price for about $6300usd for a bed in a triple cabin and we will probably come back for this one. Cruise ships sailing to Antarctica range in size from 25 to over 1000 people. 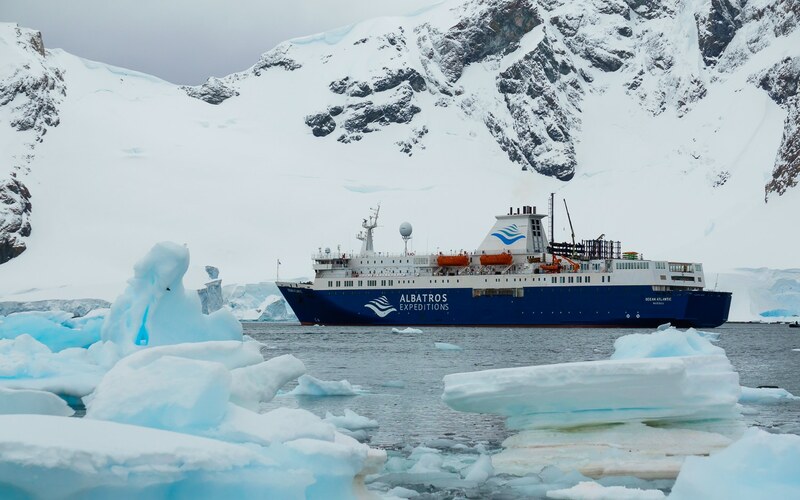 Keep in mind that cruises in ships that hold over 500 passengers are often marketed as an “Antarctica Experience” and can only offer a cruise-by of the continent with no landings because of IAATO tourism rules. So again, if your goal is to step foot on the continent itself, this is not the way to go. IAATO rules also stipulate that no more than 100 people may land on the continent at any given time, so ships that hold fewer people are better for being able to get out and do excursions. We did the 10 day “Classic Antarctica” cruise which departs from Ushuaia, Argentina then crosses the Drake Passage to make planned stops at various points along the Antarctic Peninsula, including on the continent. Now expedition staff will tell you that as soon as you make your first landing, be it on an Antarctic island or the mainland, you have visited the continent of Antarctica since it’s all the same rock and ice, but some visitors remained unconvinced until landing on the continent itself. Nowhere else in the world is an island not considered part of the continent but this is Antarctica and the stakes are high. We sailed with Albatros Expeditions on the Ocean Atlantic ship and it was an amazing experience. The ship holds 198 passengers so the best laid plans were to have 100 people do landings on the islands and continent while the remaining passengers cruised around in zodiacs to get up close looks at ice bergs and spotting whales if lucky. After about an hour, the groups would switch so that everyone would have the chance to do both a landing and a cruise. This was a great middle ground since we were able to get off the ship and explore the breathtaking Antarctic Peninsula but also sail in a larger, stronger ship. Technically classified as a 1b Icebreaker and a former Russian navy support vessel, the Ocean Atlantic is one of the toughest ships going to Antarctica right now and its stabilizers proved very valuable when crossing the Drake Passage in 5m swells and 40-50 knot winds. The Classic Antarctica voyage is typically one of the least expensive options, ranging in prices from $3900-$15,000usd depending on the operator and how fancy your cabin is. This particular trip was a Chinese charter so the majority of the passengers were from China. Over 80% of the Antarctica tourism market’s growth is said to be driven by the Chinese. Antarctica is a hugely popular tourism destination for the Chinese since the Great Wall Research station opened in 1985. The station is a great source of pride for them and often Antarctic trips are marketed to the Chinese as having a planned stop at the Great Wall Station. Remember this for later. As for being on a Chinese charter as an international guest, it was a unique experience but very fun! We grouped up pretty quickly with other internationals who were lots of fun to hang out with. Despite the language barrier we still shared a lot of smiles and laughs with our fellow Chinese travellers, especially after doing the polar plunge and while collectively embarrassing ourselves during the evening entertainment sessions. 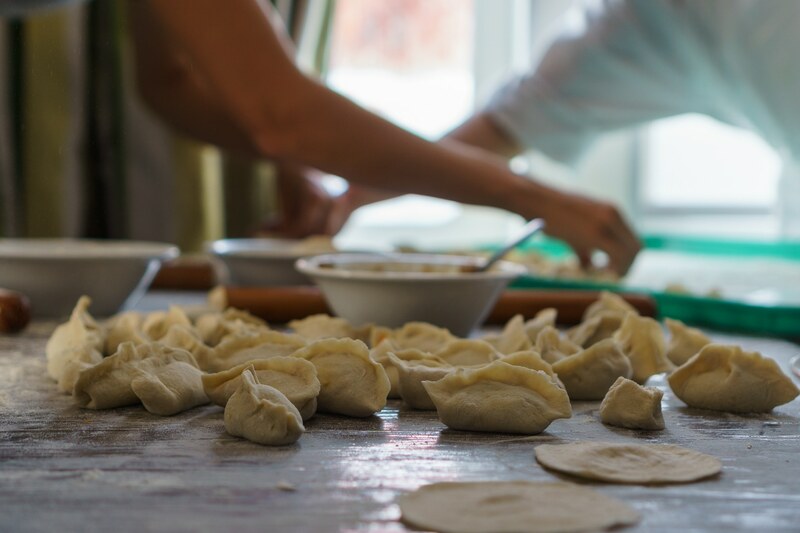 We will also never forget trying to make Chinese dumplings for the first time with a bunch of seasoned veterans who very patiently encouraged us to make better dumplings, which was a feat we could not accomplish. Dumpling making on our Antarctic Cruise! 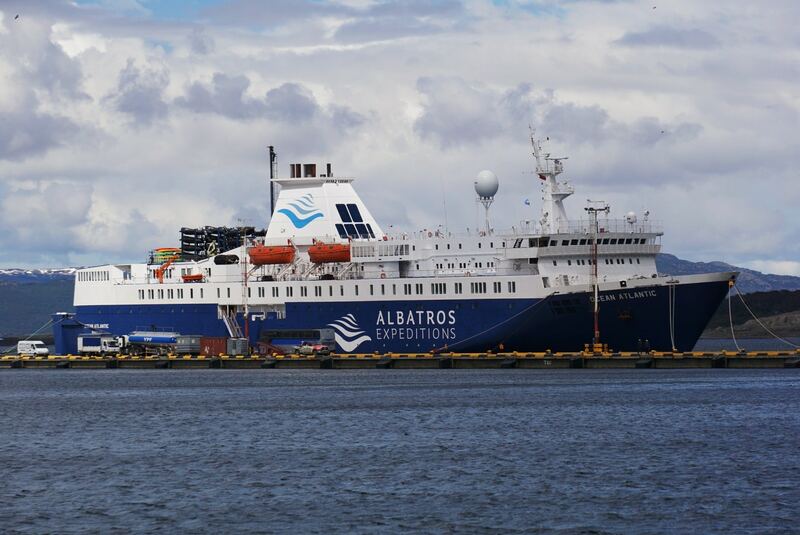 Other cruises will depart from Ushuaia and make stops at the Malvinas (Falkland Islands) and South Georgia before landing on the Antarctic Peninsula. They typically take between 17 and 23 days and are usually marketed as “Ultimate Antarctica” or “Antarctica Explorer” or something to that effect. What is an Antarctic Cruise Like? 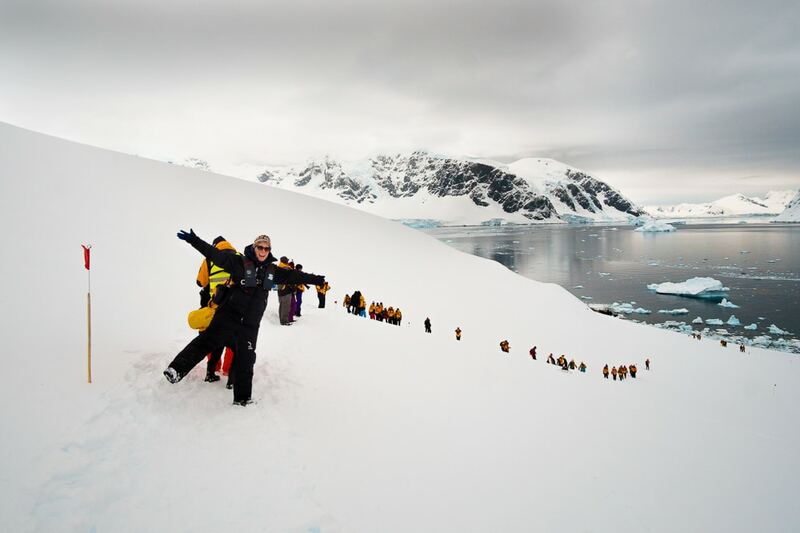 Cruising in Antarctica is more of an expedition than a floating city like other cruises. That said, there is still a luxury feel to it with buffet meals served in a stylish dining room and hundreds of support staff to keep drinks flowing and morale high. In our case, there was an entire expedition team of 22 people on our ship who aimed to get us out on excursions twice per day and entertained us with informative historical and scientific lectures while we sailed between destinations. Unfortunately, there were times where we weren’t able to make the landings as planned because the seas were too rough or sea ice risked trapping us on land after making the landing. Specifically, on every day of our 4 days of expeditions some aspect of our planned excursions had to be either cancelled or modified. For example, no landings or zodiac cruises could be offered at Petermann Island which was pretty disappointing since it’s suppose to be very beautiful and a good place to see Adelie penguins. Other landings became just cruises or the seas were so rough that only an extra long landing could be offered. Of course this can be disappointing for passengers who have paid a lot of money and survived a pretty miserable crossing of the Drake Passage to get there. The staff tried to make up for it with more lectures and extra activities like movie screenings, but nothing really compares to getting to leave the ship. That said, they did a fantastic job of guiding our excursions and managing the risk associated with visiting such an inhospitable place. Sailing later in the season (ie: December-February) may reduce the chances of this happening since the winter ice should be broken up by then, but it’s an ever-changing, harsh environment so expedition staff must plan for everything. One of the staffers described a fellow guide friend of his getting stuck on a landing with a group of tourists for over 24 hours. We almost had this happen after a morning of beautiful kayaking amongst icebergs, glaciers, and penguins in Paradise Bay. Desperate to step foot on the actual continent, we ended our kayaking excursion a bit early to meet up with the rest of the people enjoying their landing at the Brown Station. Changing winds blew sea ice in toward our landing spot and expedition staff made the decision to get us back to the ship post haste. It was a short step onto the Frozen Continent, but a thrilling one and we appreciated the staff’s flexibility and commitment to keeping us safe. On the mainland of Antarctica! The Chinese passengers however, were extremely angered for having the landing at the Great Wall station cancelled with many of them saying they wouldn’t even have booked the trip if they had known this would happen. They took it out on the expedition staff somewhat unfairly, because in this case it wasn’t a judgement call on safety by the staff and rather that the Chinese government had cancelled all of the permits. Despite this, the tour agent in China had sold them the cruise with erroneous (or maybe even dishonest) information. Personally, I would have rather visited the Ukranian Vernadsky Research station since there’s a bar inside where the researchers brew their own vodka. Allegedly if you bring them some wine (or if you’re a woman, your underwear…real mature guys) they will share their Antarctic home brew with you. At any rate, it is best to sail to Antarctica with an open mind, since it’s likely that weather, wind, and ice will dictate both if and where you can land rather than personal preference. We were provided with a list of possible landing destinations prior to departing but the actual plans for landings were only provided the day of. 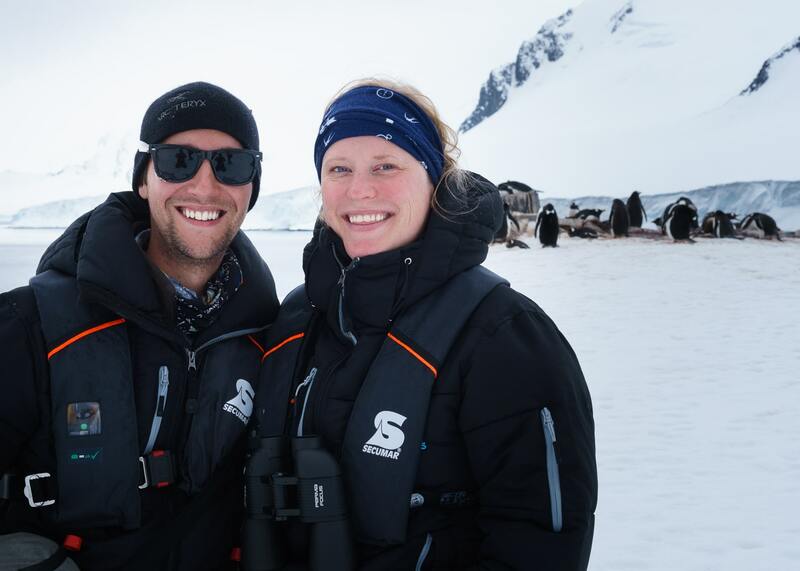 Even if you get to step off the ship and see penguins up close only once, it will be an undeniably memorable experience. On that note, Antarctica is one of the few places in the world where tour operators can confidently promise wildlife sightings. 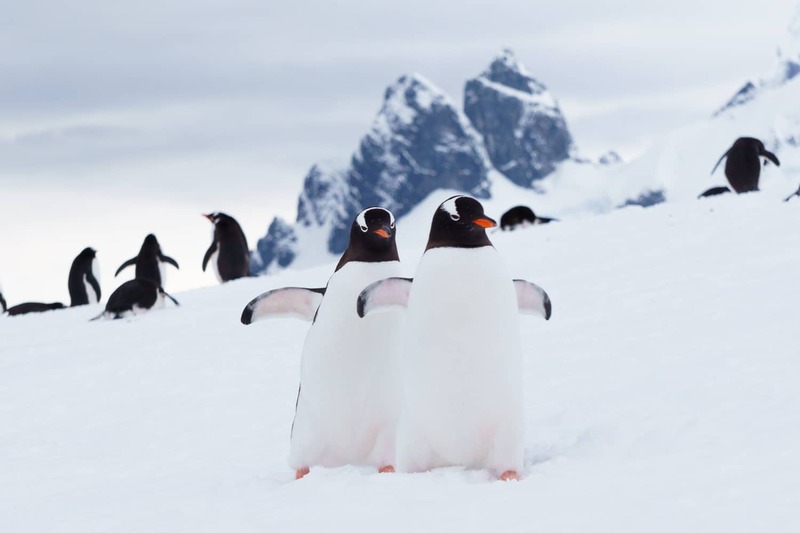 Unless something utterly apocalyptic happens to their colonies, you will see penguins in Antarctica. Seals and whales may prove more elusive, but penguins are the steadfast companions of Antarctic ice. Most operators also offer activities such as snowshoeing, kayaking, camping, or even skiing for an extra charge. It’s Antarctica so they will be extremely expensive, but probably worth it. As we explained in the above, you’ll be on land with about 100 other people during the landings so it can feel crowded in a place you would least expect it to feel so. Far fewer people will go on these smaller, extra cost excursions so you’ll get to enjoy the White Continent as it should be experienced. 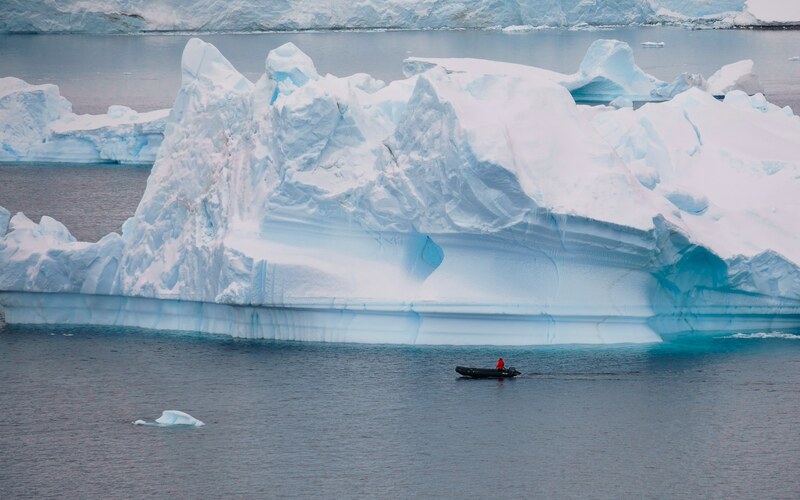 We opted for kayaking at a painful $230usd a piece, but moving quietly through the dark, frigid waters dotted with icebergs both big and small, and cruising alongside the most expansive glaciers we’ve ever seen was an experience we won’t soon forget. 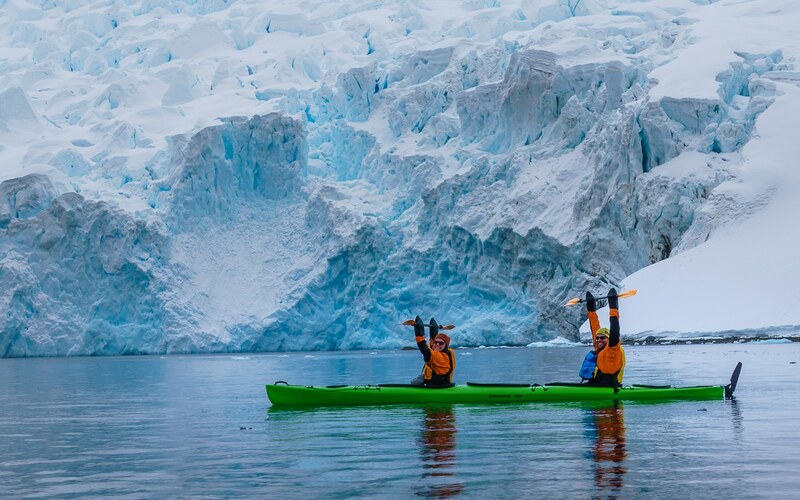 Kayaking in Antarctrica, simply incredible! How bad is the Drake Passage? It’s not that bad, really! On the way down to Antarctica, there were 3.5m swells and 30-35 knot winds which made the ship rock in a noticeable way. At times, dishes will slide off tables and holding onto the handrails that exist all over the ship will be necessary. That said, while it was dramatic looking out the window, it’s a much more gentle rocking than you would expect because the ships are larger than a typical tourist excursion boat. On the way back, there were 5m swells and winds gusting to 50 knots and although it should have been worse than it was on the way down, the captain extended the stabilizers so it felt fairly similar. We both took dramamine before bed and never had any stomach troubles, although other people were not so fortunate. Managing to sleep when the ship is moving that much is another issue altogether. Plan for some restless nights. Otherwise, the journey is very exciting with suspense building as you cross the Antarctic Convergence and try to guess when you’ll see your first iceberg. There is also the chance to see whales, dolphins, and sea birds along the way. For example, we saw fin whales, petrels, and 3 different kinds of albatrosses while sailing there and back. What is the Weather in Antarctica Like? It’s not that cold, really! We went at the end of November which is considered shoulder season so temperatures in the true Antarctic summer should be nicer than it was for us. Nevertheless, Antarctica is a place where it can go from beautifully calm and sunny to blowing snow in your face in a matter of minutes. Temperatures while sailing were between 5-10 degrees Celsius, with a noticeable drop once we crossed the Antarctic convergence. Temperatures during the landings were between 0 to 5 degrees Celsius. At times, there was blowing snow but it never lasted long and quite frankly, Canadian winters have made me feel far worse. For example, while chasing the aurora borealis in Yellowknife in spring it was a bitter -20 degrees Celsius. You’ll want to dress warmly for Antarctica and if you have no idea what that looks like, think of how you would dress to go skiing ie: warm, puffy jacket, snow pants, gloves, scarf or buff for your face, toque (aka beanie for non-Canadians) for your head. Many operators will provide some or all of these items so be sure to ask ahead of time, but if you have the stuff already you may want to bring your own. Our agency promised a parka, but then miscommunicated with the operator so there were no parkas for us once we boarded. Thankfully, the Albatros Expeditions staff lent us some big, puffy jackets that made us look like black marshmallows but kept us very warm. The only downside was that we kept getting mistaken for staff by some of the Chinese passengers. If you’re on the backpacking circuit like us, you probably won’t have snow pants, ski gloves, and a snow parka with you but you can rent those items in Ushuaia. We rented snow pants and gloves from Ushuaia Extremo which fit the bill just fine for $80usd for 10 days. They even gave us a coupon for a delightful free hot chocolate at the Laguna Negra café. I also recommend taking some binoculars for wildlife spotting from the boat and during the landings. You won’t need them for the penguins but they will help you get a better look at whales and sea birds. I like these Antarctica-proof ones. Ships will provide rubber boots for you and will require you to scrub them between getting on and off the vessel as per IAATO rules to prevent bio-contamination. The question on everyone’s minds, how much does it cost for a cruise to Antarctica? If you book your Antarctic cruise online or from an agency in your home city, you will likely pay a premium with a cruise costing you around $8500-$10,000usd for a Classic Antarctica and over $11,000usd for a journey that includes South Georgia as well. That may or may not include airfare and a hotel room in Ushuaia before you depart. If money is no object and you are looking for a luxury experience we saw tickets advertised for up to $50,000usd a person! Many bloggers will tell you that “you get what you pay for” as far as Antarctica cruises are concerned, and unless you consider fixed dates, being given or lent an ugly parka, sleeping in a twin cabin with a window rather than a porthole worth a couple extra thousand dollars, then that’s not really true. We paid $3900usd for a 10 day cruise on a Chinese charter where we stayed in a twin cabin with a porthole window, while others got a different last minute deal from a different agency for $5,500usd for either the same style room, or one with a full-sized window in a twin cabin. A last minute price for the same cruise on an international charter would cost closer to $6000usd. Those who booked ahead of time for our cruise paid on average $8000-$10,000 for the same cruise, but in some cases that included flights from China well as a night in a 5 star hotel, a day tour in Ushuaia, and a parka. If people wanted a nicer cabin, they paid over $15,000usd for the same ship, same food, same staff, and same excursions, just a different cabin. To each their own, but just keep in mind that there is probably a better price for the same cruise from a local agency in Ushuaia to be found than the one online. We were actually pretty much told exactly this after we reached out to one of the operators directly. The $3900usd cruises weren’t advertised very explicitly so if you’re in Ushuaia, you’ll have to look closely. I also saw the trip advertised on the little shacks on the waterfront near the End of the World sign that also sell the Beagle Channel excursions. Otherwise, the next best price for the classic Antarctica cruise will be around $5000usd. As for other last minute deals, we saw a 17 day Malvinas and South Georgia cruise $6300usd for a bed in a triple cabin. 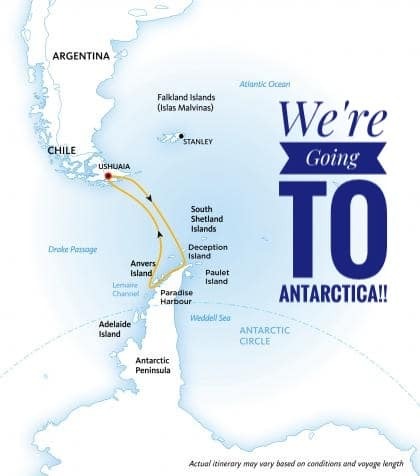 One of the most tempting deals we saw was for a 23 day “Ultimate Antarctica” cruise that went to the Malvinas, South Georgia, and the Peninsula for $8990usd. The trip usually goes for at least $15,000usd and rarely gets discounted but we wanted to still have money for the rest of our trip after this so we reluctantly declined this one. Bear in mind that you will also be asked to tip staff during your cruise. The suggested tip for ours was $13.50USD per person per day and they will go ahead and charge your credit card unless you walk down to the reception desk and tell them not to. There is only one season for Antarctica which is between late October and late March, with December through February considered to be high season. You can book anywhere from months in advance to days before in Ushuaia. We even heard of people booking their cruise in Ushuaia and departing the same day. In November the winter sea ice is still breaking up so some landings may not be possible which is what we encountered during our cruise. 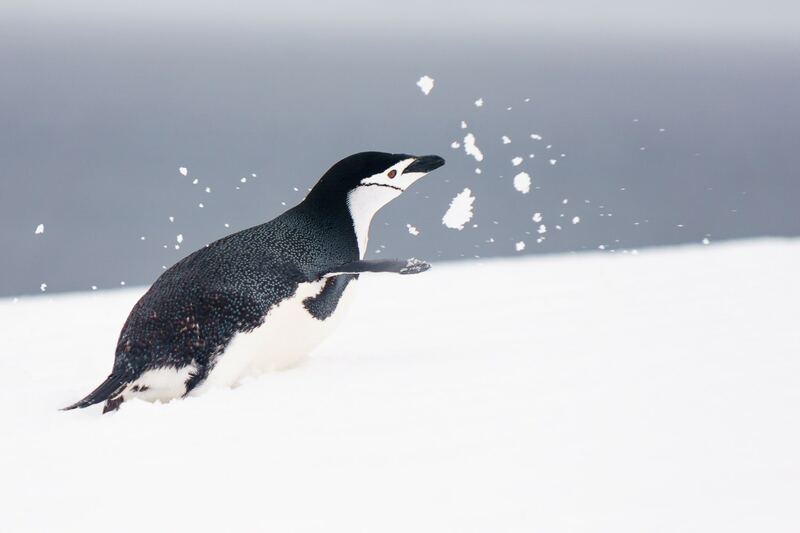 It’s still a great month to go as the penguins will be courting each other, building their nests, and mating with wild abandon, while the whales will only just be moving south. That said we saw at least one humpback whale every day that we were in the Peninsula in late November, but the expedition that had just returned only saw one whale during their sailing. In December and January, the temperatures are the “warmest”, penguin chicks start to hatch, and the seals and sea birds are all at their most active. This is considered “high season” so it’s best to try to book in advance, but you can still use the sign up for the email list trick described below. February and March are best months for seeing humpback and sperm whales, as well as orcas. Of course wildlife sightings are never guaranteed, except for maybe penguins. Things have changed since the first people wrote their blogs about scoring an amazing deal on a last minute Antarctica cruise. The advice used to be that the only way to get a great last minute deal was to show up in Ushuaia and walk around until you find a spot on a ship that sounds good to you and save 50-70% off a cruise. Those lucky folks claimed to have scored cruises for around $3000usd. But I think those days are over and people seeking those prices may end up spending weeks in Ushuaia, which is both an expensive and not the most exciting place in the world, in order to find a bargain basement-priced cruise. Now if you want to score a “last minute” deal, the best thing to do is to begin contacting some of the agencies in Ushuaia well ahead of your intended time of travel and tell them your date range. They will place you on an email list or send you WhatsApp messages with the latest, greatest deals. Lonely Planet should have a list of agencies, as will your good friend Google, but keep in mind that these agencies appear and disappear constantly. Were we to do this again, we would have signed up for the email offers before leaving for the O Trek in Patagonia so we could have been seeing offers while making our way overland to Ushuaia. Once there, we were lucky to have scored our amazing, and quite frankly the best deal we saw during our research from Pinguinos Expidiciones. 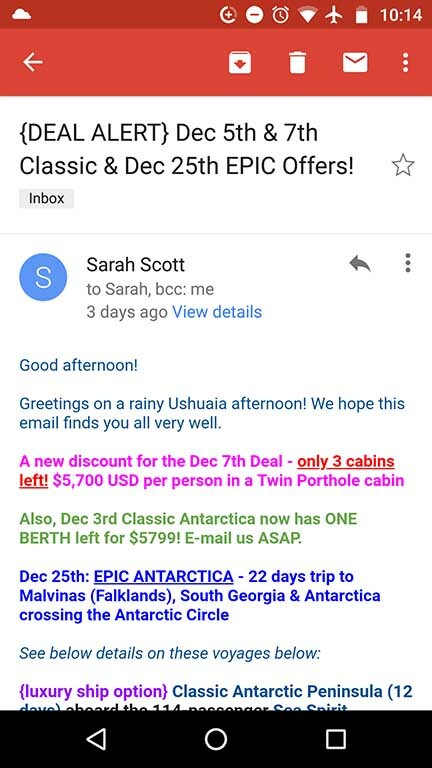 If you don’t want to chance going down to Ushuaia without a booking, you could always send them a message at email or WhatsApp (+54 9 2901 40-5940, Ashlyn) to see if they’re still offering the Classic Antarctica cruise for $3900usd. Being flexible on your dates is probably the best way to ensure you can get one of these great prices. It’s also important to consider that if you’re a couple, booking last minute may leave you in separate cabins for the trip. The cheapest prices on many cruises are often for a bed in a triple cabin which are separated by gender. So if you see a price listed as “Female berth” or “Male cabin” this is what it’s referring to. Lastly but most importantly, make sure that your cruise is part of the IAATO and adheres the Antarctic Ambassador program. Antarctica is a unique a special place and needs to be kept that way, especially as tourism there increases. 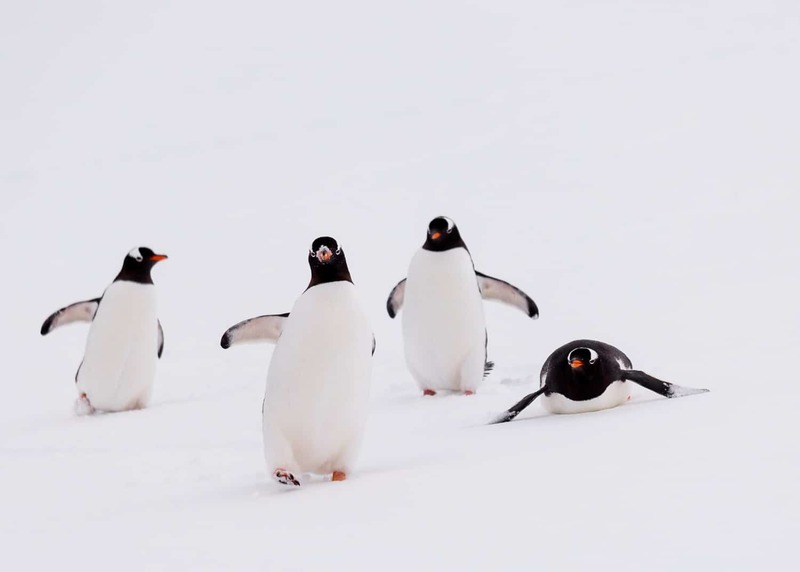 Travel responsibly in Antarctica to protect these guys! Anyone who has travelled to Argentina knows how obnoxious dealing with money is there. ATMs charge exorbitant fees for small withdrawals (think a $9usd fee for a $150usd withdrawal!) Most places are getting better about accepting credit cards, but in our case Pinguinos only accepted wire transfers to their Chinese bank. 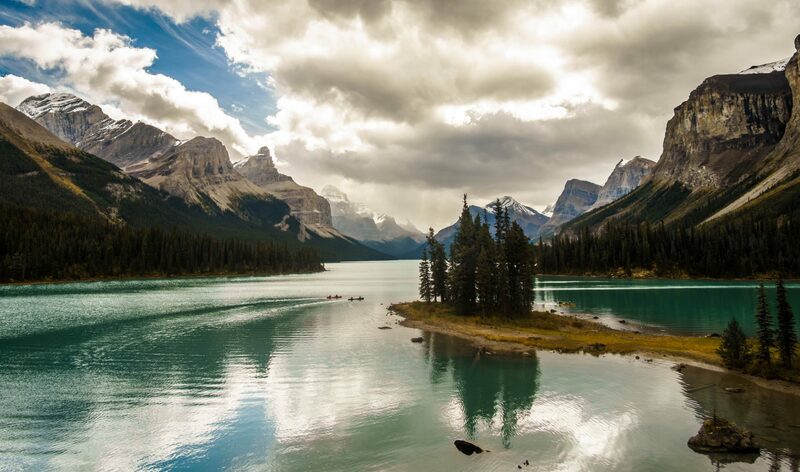 After several days of transferring our money between our banks and spending wasted hours on hold with our bank in Canada, we were finally told that it was impossible to send an international wire transfer without physically going to the branch in Calgary. Obviously with us being on the other side of the world in Ushuaia, we could not accomplish this feat. Cool, and way to be in 21st Century ScotiaBank. Thanks Scotiabank for making it hard to see these guys! Running out of options to pay for our cruise, we had to ask Phil’s parents to go to the bank in Canada and send it for us, so for a brief moment somone else had paid for our cruise for us. If only. We of course paid them back and added a “go buy yourself a bottle of wine on us” tax. It was nonetheless, stressful. We may have been able to convince Pinguinos to let us pay with a credit card if we paid the extra fees on their end, but otherwise we would have had to make an impossible 57 ATM withdrawals to pay cash with an extra $400 in fees. So with that in mind, be sure to check ahead of time to see how you can pay for the cruise and be advised that you may end up needing to fly Argentina with a huge pile of cash on you. Antarctica moreso than anywhere else on Earth requires that visitors travel responsibly. The IAATO has guidelines for visitors that includes suggested distances for watching wildlife, methods for preventing bio-contamination and habitat destruction. If you’re looking to let loose and say screw the man on your vacation, Antarctica is not the place to do it. Your tour operators will not hesitate to send you back to the ship if they think that you’re behaving irresponsibly on land or around the animals. This didn’t stop some people from burying their trinkets on the beach during one of the landings (if that catastrophic penguin colony collapse I mentioned earlier happens, we’ll know why…), or shouting at animals to try to get a better picture, but you can do better than those assholes people. Also, fill in your postholes before you leave since they can easily trap a penguin inside which would be pretty awful for them. Curiously despite being at the end of the world, Antarctica is a place that truly illustrates how connected everything is. 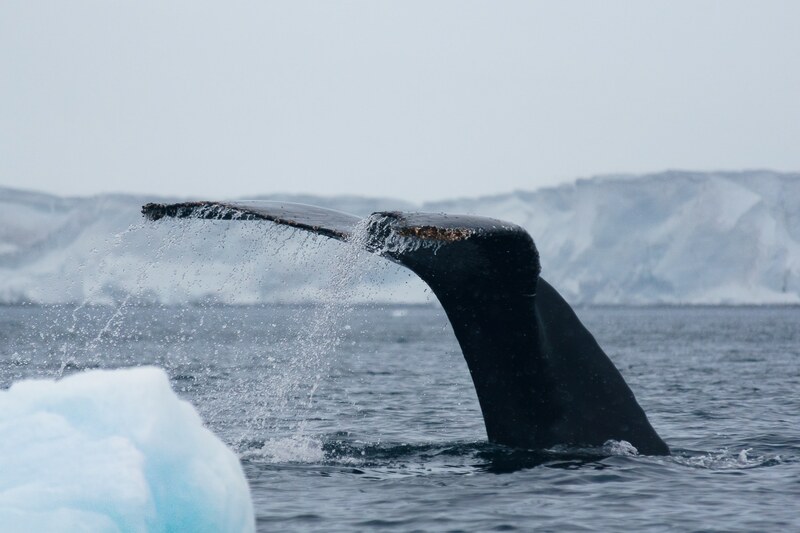 Warming waters due to climate change have affected krill populations which is a keystone species for everything from penguins to the biggest animal on earth, the Blue whale. Of course cruise ships are contributing to the problem by requiring insane amount of fuel to make their voyages so consider purchasing some offsets to minimize your impact. Our cruise ship alone used 207 tons of fuel to sail us all to Antarctica and back. My personal favourite is The Gold Standard as a good place to buy offsets from because you can choose the project that you would like to support and there is a focus on international development. So for example, on our cruise there was 207 tons of fuel used divided by 198 passengers, so each person used a little approximately 1 ton for the voyage or even less if you add the crew. An offset for one ton can cost as little as $10usd at the Gold Standard. There is also a delightfully appropriately named organization called the South Pole Group which you can purchase offsets from. That said, if you really hate the idea of buying offsets, you can also make a donation to a favourite conservation charity. Good news, if you followed this guide then you likely saved money on your cruise so you can afford it! 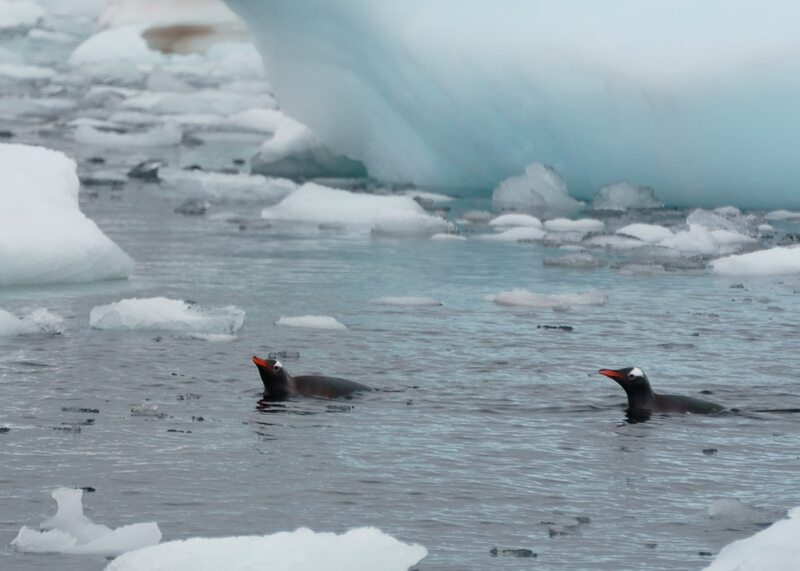 Other ways to help the wildlife of Antarctica include adjusting some of your habits at home, such as reducing plastic waste wherever you can to limit the amount of plastic that ends up in the ocean and ultimately, into you through the food chain. The whale expert onboard the Ocean Atlantic recommended purchasing an item called the GuppyFriend which is a fancy, hightech bag that you place your laundry in to catch the microfibres that would otherwise be shed into waterways until ultimately reaching the ocean to be taken up in the food chain. The bag claims to catch over 99% of the fibres but if it’s not available where you live or are put off by the price, you can always use a lowtech solution of putting your fibre-shedding synthetics like fleece into a pillowcase and tying it up before washing them. You will still be able to catch a lot of the fibres that way and you can scoop them out of the pillowcase with your hand and throw them in the garbage after washing. It’s an easy way to keep some plastic out of the ocean as well as your food with something you already have in your home. 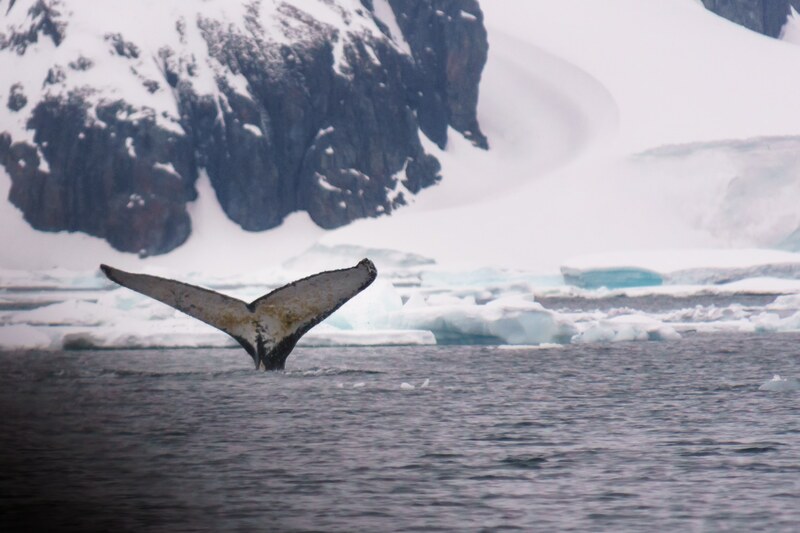 Here’s hoping that you took some amazing pictures of a whale surfacing in Antarctica and you are so excited about that, how about sharing them with scientists who track them? HappyWhale.com gladly accepts pictures of whales that meet their identification criteria (no they’re not critiquing your photography skills, they just need to be able to see certain things clearly in order to make a scientific determination). Your contributions help provide data about their movements and the health of their populations. If they can, they will provide you with the name of the whale as well as whatever history they may have on it. Be prepared to find out that the whale you saw in Antarctica is even more of a world traveller than you are! You know we love birds and that extends to albatrosses which are amazing creatures. The way they surf so effortlessly on the sea winds is truly a wonder to behold and again, they just may travel farther every year than many people will in their entire lives. Sadly, devastatingly really, hundreds die every day in longline fisheries (which are supposed to be the “good ones” aaaaaah) by getting caught on the hooks as they dive for bait. These powerful, graceful creatures then meet the most gruesome deaths underwater where they don’t belong. Obviously this is terrible for them, but it is bad for the fishermen too as they are intending to catch fish and not birds. Hookpods make it so the hook is not released until the hook sinks to over 20m which is below the diving depths of most birds. It’s a little more expensive than conventional equipment so sponsoring a Hookpod is a great way to help the birds and fishers alike. Albatros Expeditions sponsors an entire Brazilian fishing ship and may host a fundraiser during your cruise with them. Passengers were feeling particularly generous and raised over $10,000 for Hookpods on our sailing alone! Even sponsoring one Hookpod makes a difference for albatrosses so get yours here. 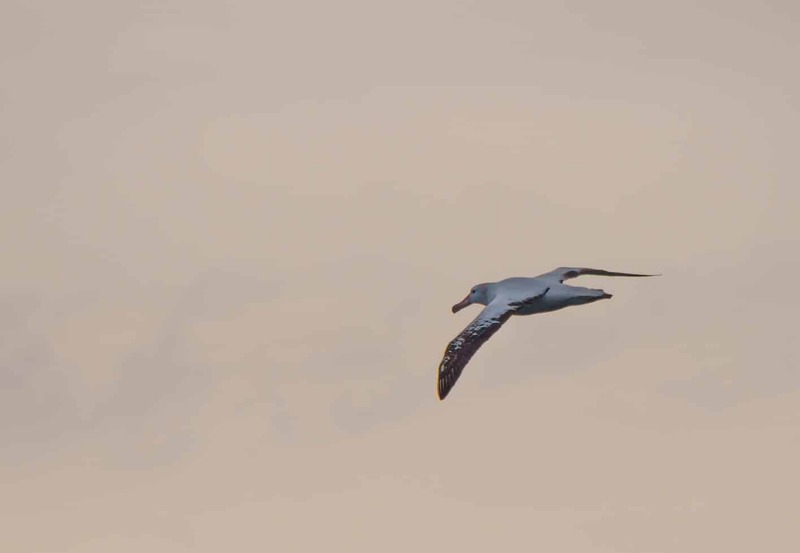 Sea birds like the Wandering Albatross are often caught in fishing lines. Ushuaia is by far the best place to pick up an Antarctic cruise from. If you are not in South America already, you will likely need to fly there through Buenos Aries. We took the bus from Puerto Natales in Chile to Ushuaia. Well actually it was a bus to the side of the road where we were unceremoniously dumped to wait for another bus, then a ferry boat where we saw commerson dolphins jumping in the wake, back on the bus, to Rio Grande where we waited half an hour for a van to take us the rest of the way to Ushuaia. If you book the bus on certain days you can skip the waiting on the side of the road bit and go straight to Rio Grande to wait for the van to Ushuaia. We stayed at the Laguna Esmeralda BnB and it is a wonderful place with a clean kitchen, laundry facilities, good sized rooms, hot showers, and breakfast included for about $32usd a night for a double. So there you have it, Antarctica is both within your reach and worthy of a visit. Get yourself down to Ushuaia, the self-proclaimed end of the world where you can set sail for the true end of the world and make memories that will stay with you until your end. Also penguins. There will be lots of penguins. You can never get enough penguins! I’ve never considered it but what an incredible place to visit and experience! If you’re in to adventures it’s certainly one to check out! Thanks! I had no idea there was so much in Antarctica. I’ve always pictured it as nothing but ice and bitter cold. I’d love to see it in person one day. The crazy thing is that our 10 day cruise really only scraped the surface, there’s so much more to Antarctica than we even got to see! We’d love to visit Antarctica as a family one day and the cruise would be a good option for us x Amazing photos and what an experience! What an amazing trip. I would love to do this and see those amazing icebergs and the view. I am in awe of our world! Such a fun and a great experience you had. I never thought that there are so many things that we could see in Antartica. I feel like I wanna go there now. What a fabulously comprehensive post this is about heading to Antartica! I love how you have taken time explaining each sections carefully with photos. I would totally love doing the cruise lake as I have always wanted to try that. Wow what an amazing experience! I had no idea cruises to Antarctica even existed! I don’t know if I could brave the cold conditions but if I was a bit tougher I would love to do this! Wow! What an incredible, once-in-a-lifetime experience. I always dreamed of a trip like this but thought it was too far out of reach. Maybe it isn’t! Nice photos, i never knew Antarctica would be this beautiful. Lovely ,amazing place. I would love to go here someday. Antarctica is actually on my bucket list. I recently went to Alaska and just couldn’t get over the beauty of the nature and the wildlife. That environment is definitely my favorite. Thank you for sharing such beautiful pictures. Antarctica looks absolutley amazing for an adventure for sure!!!! Who wants to elope here? I will tag along to take your pictures anytime! Going to Antarctica sounds like a trip of a lifetime. What an adventure 😊 I definitely like the idea of doing a cruise. This looks like an adventure! I would love to take my kids on some trips like this when they are older. Antarctica is actually on my bucket list! There is a cruise that goes there that I keep eyeing!! !